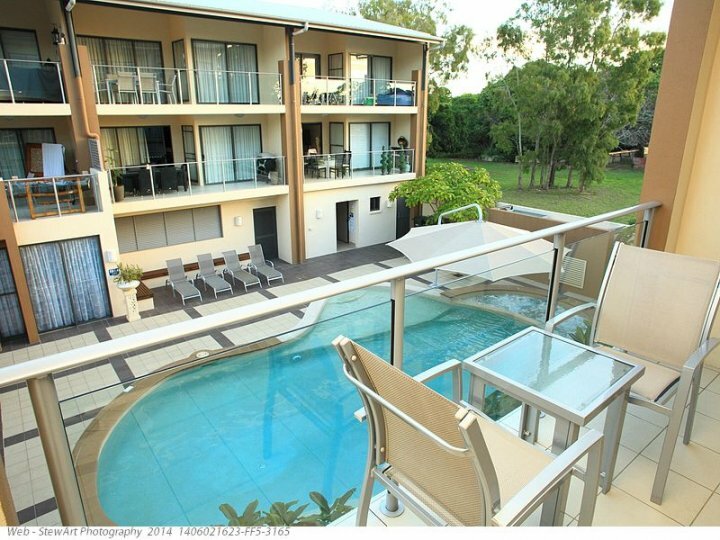 Boutique holiday apartments at Scarness Beach, Hervey Bay, opened April 2007. 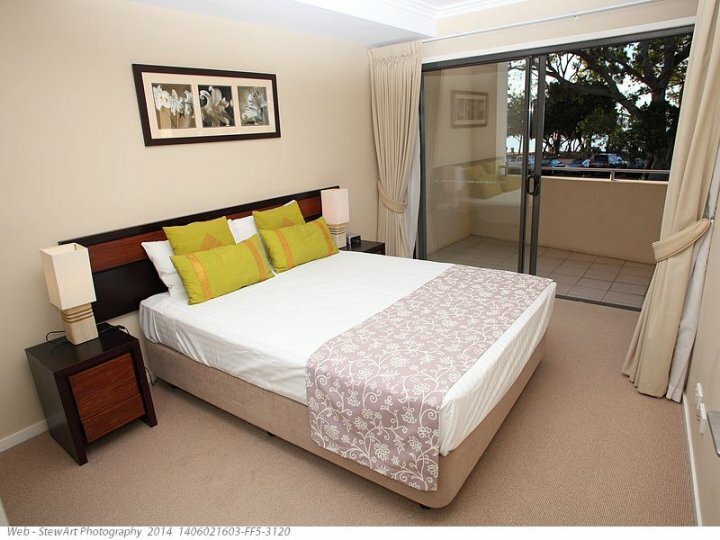 Eden by the Bay is a four storey property situated in a cosmopolitan position overlooking the beach and landscaped park. Great for couples and families. Eden by the Bay is pure style, featuring spacious, light and airy apartments with broad balconies. Beautifully landscaped areas in the Atrium, providing guests with a soothing and relaxing haven for their holiday. 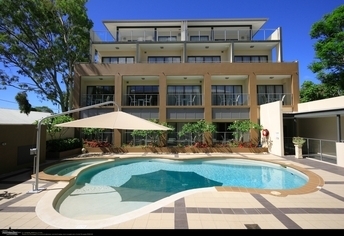 The one, two and three bedroom luxury apartments all offer generous living and entertainment areas, reverse cycle air conditioning, spa baths, balconies, well-equipped kitchen and laundry, top quality European stainless steel appliances, modern décor in neutral palettes, the latest design in furniture, large LCD TV, DVD, Austar, FREE WIFI and direct dial telephones. 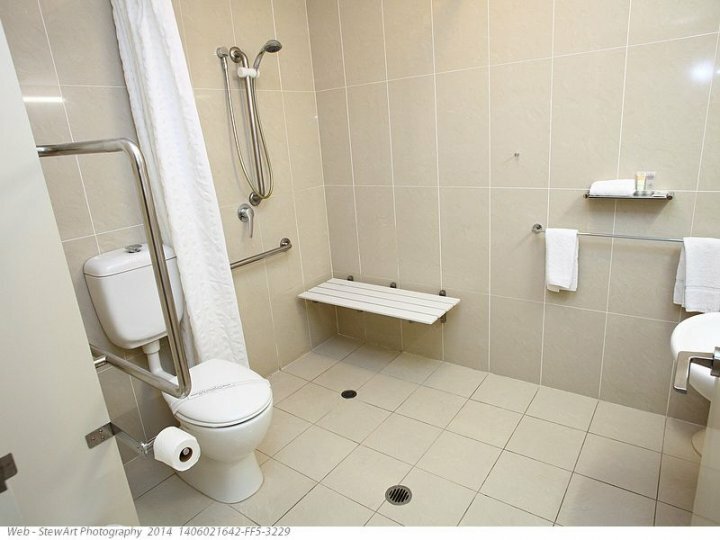 Interconnecting rooms are available and there are specially designed apartments for disabled guests. 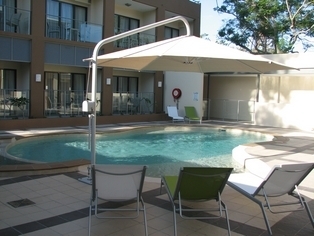 The resort itself has a temperature controlled swimming pool with wading area, spa, sauna, key card security entry and secure off street car parking. 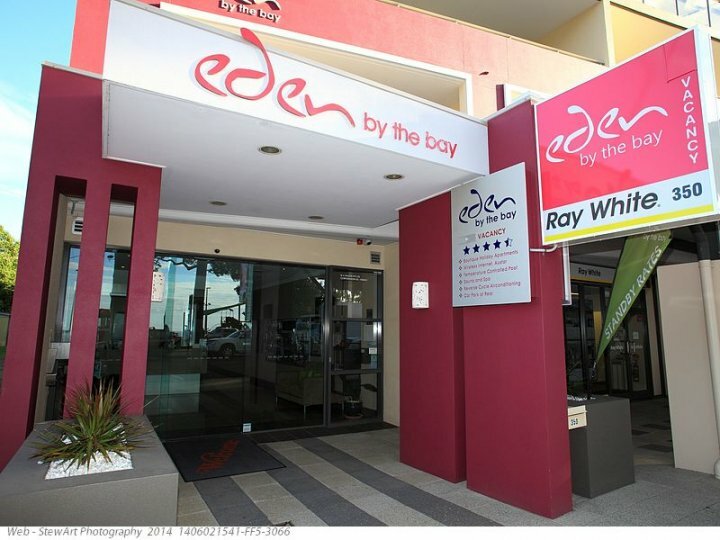 Eden by the Bay also has professional on-site management and a tour desk at reception. Bedding configuration is 1 queen bed. 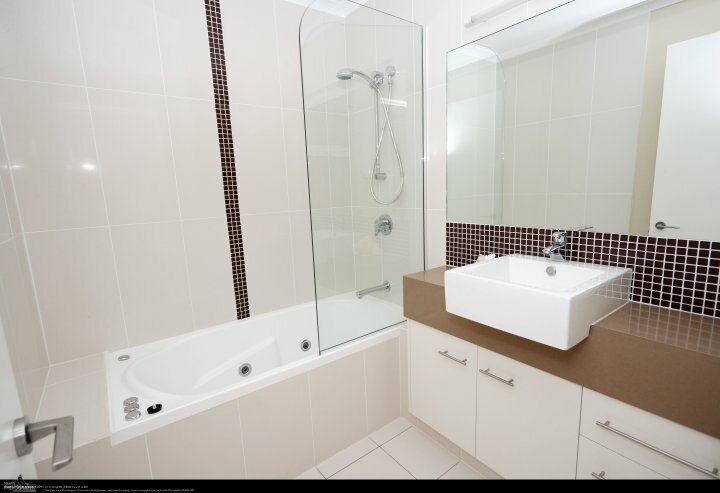 Luxury in an apartment with spa bath, balcony overlooking the pool, kitchenette & laundry, large LCD TV, DVD & FREE WIFI. Bedding configuration is 1 queen bed and 2 single beds (can be king bed). 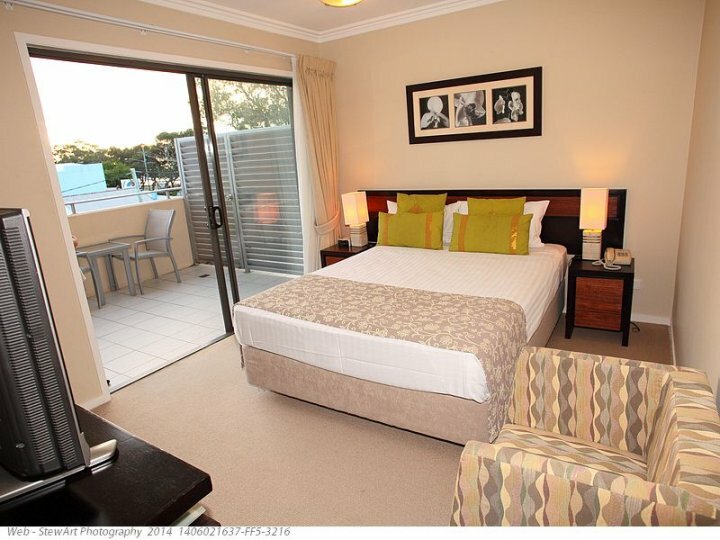 Amazing luxury, park & ocean views, north facing balcony, spa bath, large LCD TV, DVD & FREE WIFI. Bedding configuration is 1 queen & 2 single beds (king bed not available).STAIR ACCESS ONLY - NO LIFT. 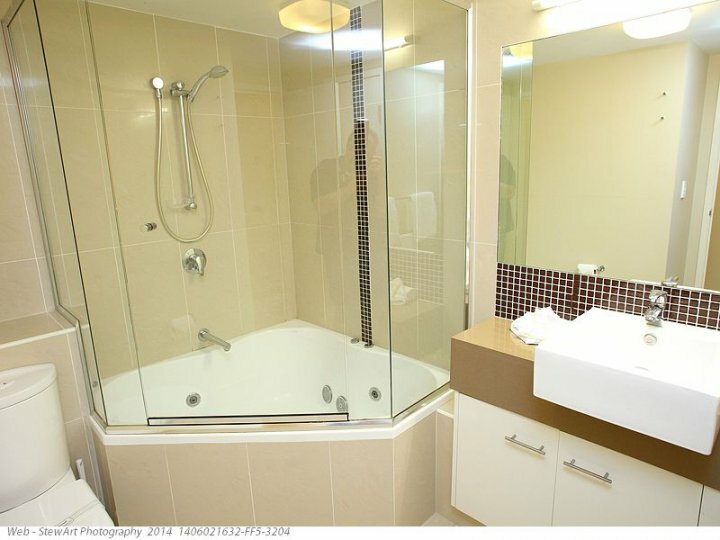 Luxury self catering apartment with spa bath, large balcony, large LCD TV, DVD & FREE WIFI. Rates are for 2 only. Bedding configuration is 1 queen bed. 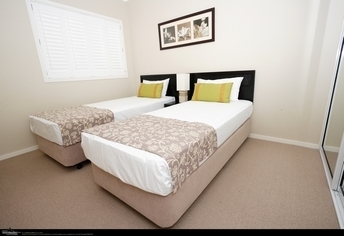 Great for single person or couples short stay, ensuite bathroom, LCD TV & FREE WIFI. 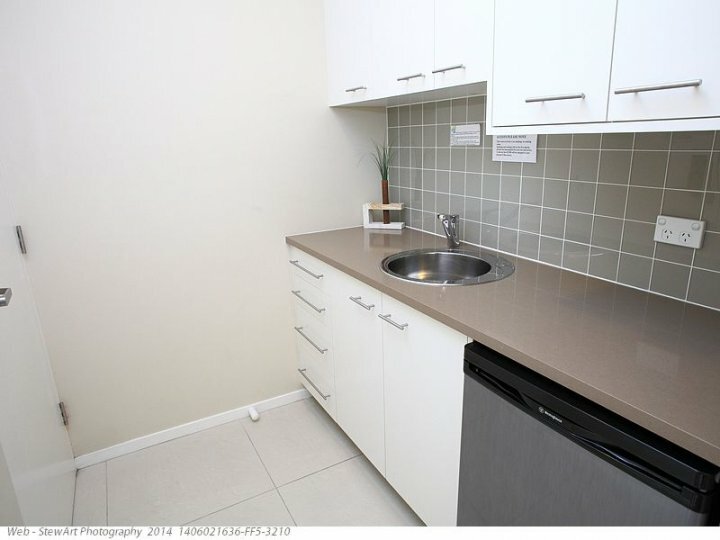 No cooking facilities or lounge/dining area. 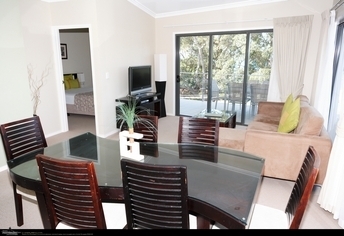 Corporate guests welcome, hotel rooms and one bedroom apartments available. 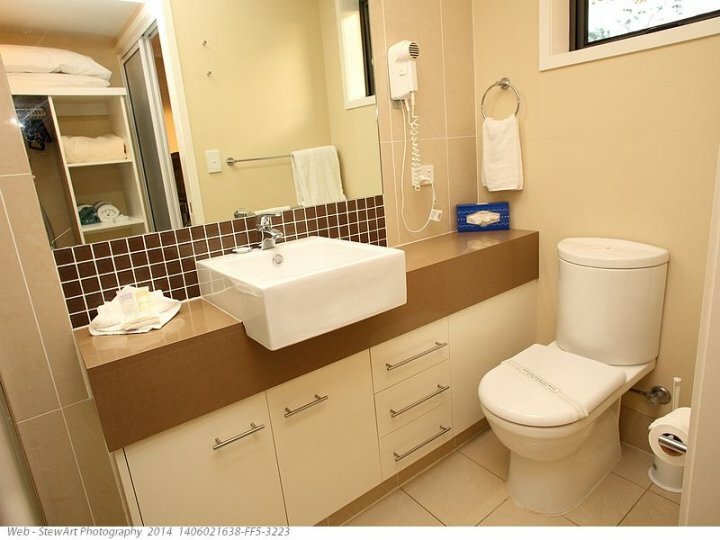 FREE WIFI and direct dial telephones in all rooms. Please contact us if you are arriving after 6.00pm so that we can give you instructions for the use of our after hours key card security box. (Any additional charges are payable direct to the hotel). 0 - 2 yrs free of charge if using existing bedding. 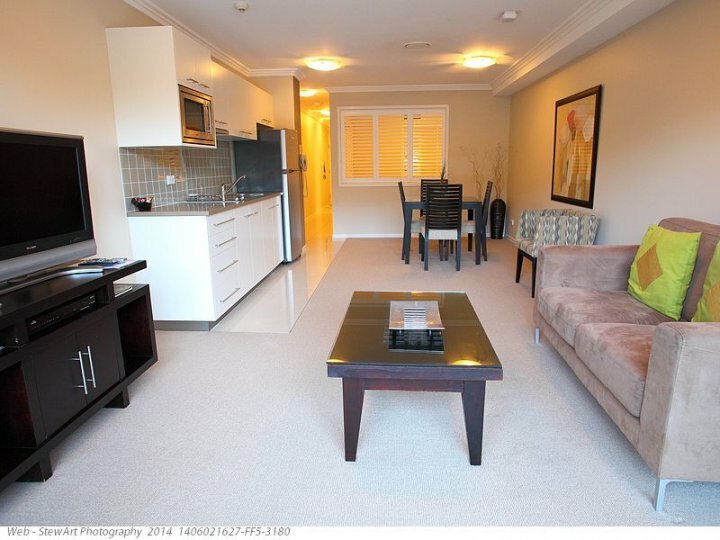 Rates for one bedroom apartments are for two people, maximum occupancy is three people. Extra guest charge is $30 per night. 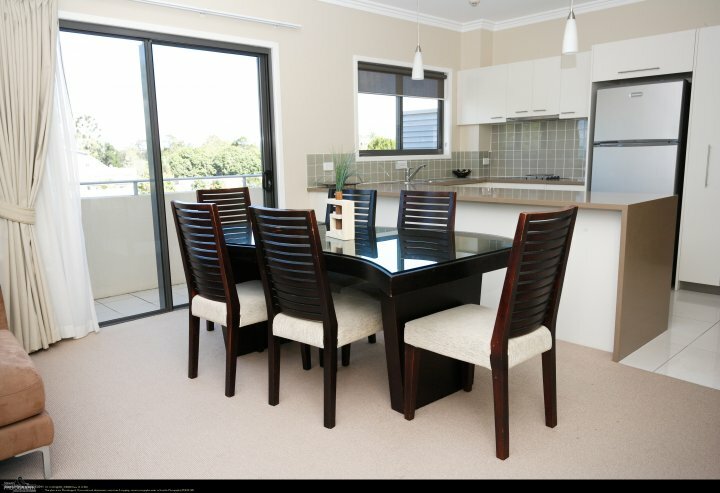 Rates for two bedroom apartments are for up to four people, maximum occupancy is five people. Extra guest charge is $30 per night. Secure parking for one vehicle per apartment. Boat or trailer parking may be available. 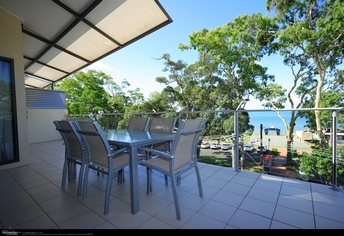 Driving Hervey Bay is a comfortable 3.5 hour drive north of Brisbane, 265km from Brisbane Airport and 2.5 hour drive from the Sunshine Coast. Travel north on the Bruce Highway and exit at Maryborough. 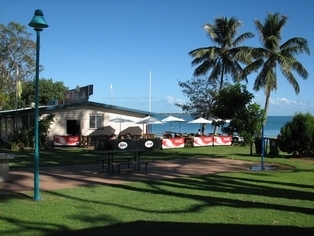 Driving south, Hervey Bay is a 4 hour drive from Rockhampton on the Bruce Highway, exit at Howard/Torbanlea. Flying Fraser Coast Airport is the local airport at Hervey Bay. Qantas, Jetstar and Virgin Blue Airlines operate direct jet services from Sydney and Brisbane. A Hervey Bay Shuttles coach meets each flight. We can pre-book a transfer to our accommodation for you on either the shuttle or a limousine. Train Queensland Rails Tilt Train offers fast, comfortable travel south to Brisbane and north to Cairns, stopping at Maryborough West Rail Station for a link to Hervey Bay. A Trainlink coach provides a transfer to and from our accommodation. Coach Suntours and Greyhound operate several coach transfers to and from Brisbane daily. 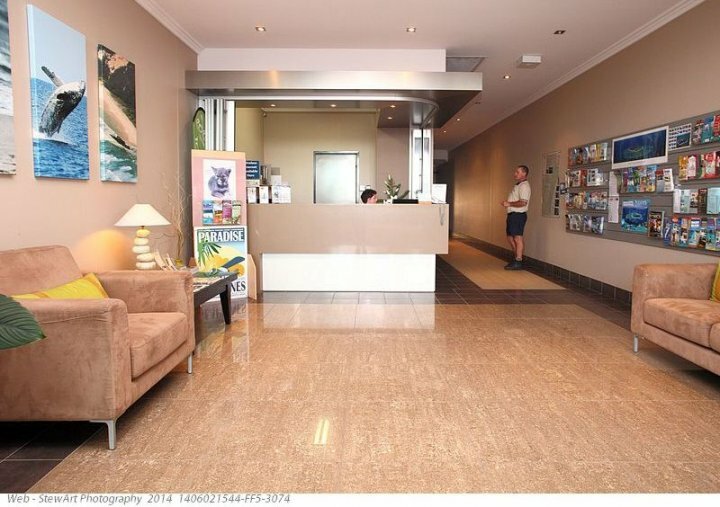 Hervey Bay is a wonderful holiday destination offering many activities and also a relaxing laid back atmosphere for those who just want to enjoy rest and relaxation. -Scenic flights in helicopters or airplanes.